The long term goal of this project is to make it easy for people to get up and running quickly if they are beginners, or customize both the hardware and software to meet the needs of their mission if the are intermediate of advanced ballooners. With this, we hope to open the doors for more people to experiment with high-altitude balloons in a meaningful and novel way. 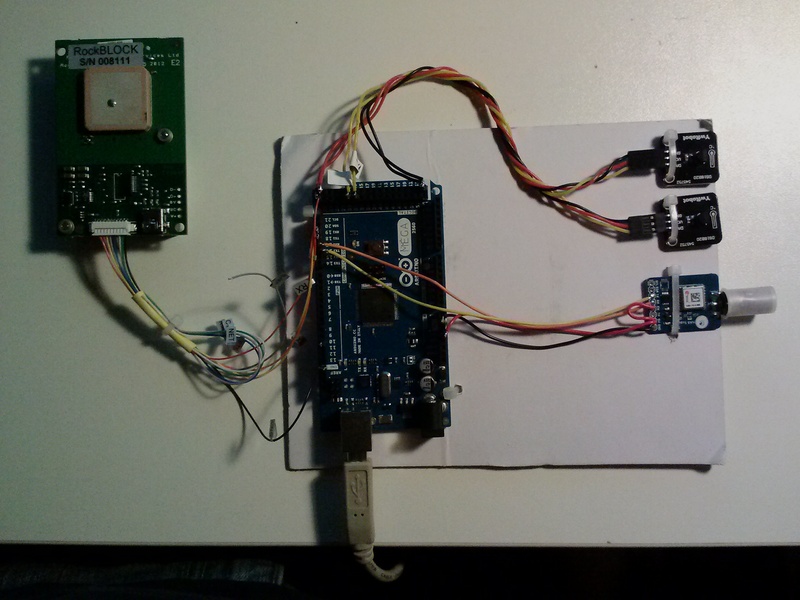 We assembled an initial prototype and have functional software that provides basic payload functionality. On the payload side, we decided to use Arduino for its ease-of-use and ubiquity. The Arduino interfaces to a few sensors, including a MAX7Q GPS, a couple of temperature sensors, and of course the Iridium modem. Over time, we hope to add support for a long list of sensors and a variety of embedded targets – both larger (ARM/Linux based) and smaller (for low-power/light-weight missions). For now though, this is a happy medium to get everyone off the ground (pun intended). On the ground side, a Python script interfaces to an email server through SMTP and IMAP. This is how we exchange messages between our application layer (where we product commands and process incoming data), and the payload. This Python application should be fairly easy to modify, if your mission needs . Over time we will post tutorials on how to a modify this ground station software, and the payload software to your liking. In essence, this is a GUI or command-line application that will allow you to control your balloon from anywhere in the world. We plan to get everything packed up and experiment with some launches in the coming months. If you are interested in helping out with this project, submitting feature requests, or have any general questions, please contact John Malsbury, jmalsbury.personal@gmail.com.